The first of what is planned to be a series of MTB information sessions was put on last night (July 9th) by a couple of enthusiastic mountain bikers (Jason and Clint). The session was billed as an opportunity to learn about everything from trail building to what's on around Tasmania with regards to events, social rides and places to ride. About 20 people turned up and it was a great opportunity to put some faces to names and hear first hand what is happening out and about in mountain biking in Tasmania. Jason gave an overview about how lucky we are to still be able to do our own trail building in Tasmania, and both he and Clint provided a great insight into what's happening with trail building around the Greater Hobart Area, including Council concerns over increasing maintenance costs and how we can do ourselves a diservice by building and promoting illegally constructed trails. Clint gave a bit more of an overview on what's happening around Mt Wellington and the Meehan Ranges, including a tantalising glimpse into a soon to be constructed new XC trail at the Glenorchy MTB Park. He also reported on how both Glenorchy and Clarence Councis are looking at providing better trail head and trail junction signage (Big Yay!). Having just gotten around to putting up some track notes for Stringy Bark Gully & The Meehan Ranges I was thrilled (not) to see that current trail building efforts by Dirt Art are about to make my trail notes out of date almost immediatley with improved riding lines and a new track being pushed up to the ridge from the Clarence MTB Park side of the range. There was also talk of improving the verge track along the highway between Belbins and the Clarence MTB Park which will be great. There were some overviews given from different clubs, organisations and event organisers and a talk at the end about the difficulties for new riders of getting trail information unless you're plugged into the local riding scene. The Greater Hobart Trails website was plugged as where we might be going in this space. It was also reported that the Dirt Devils website will soon have a page dedicated to updates for trail building. All up, I found it a very positive night, and hope that these meetings get some momentum alongside the MTBing scene itself which seems to be going great guns everywhere. 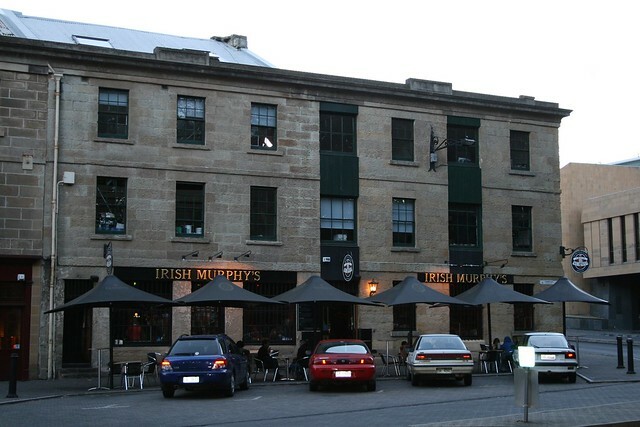 The event was supported by Irish Murphy's.